Liver failure and a bad infection, poor Kelvin is not doing well. 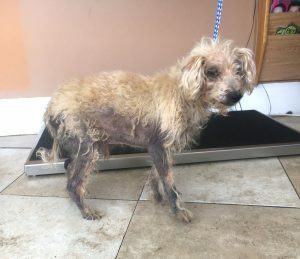 We've set up this fund to help pay for his care, and to help us continue caring for other dogs too! 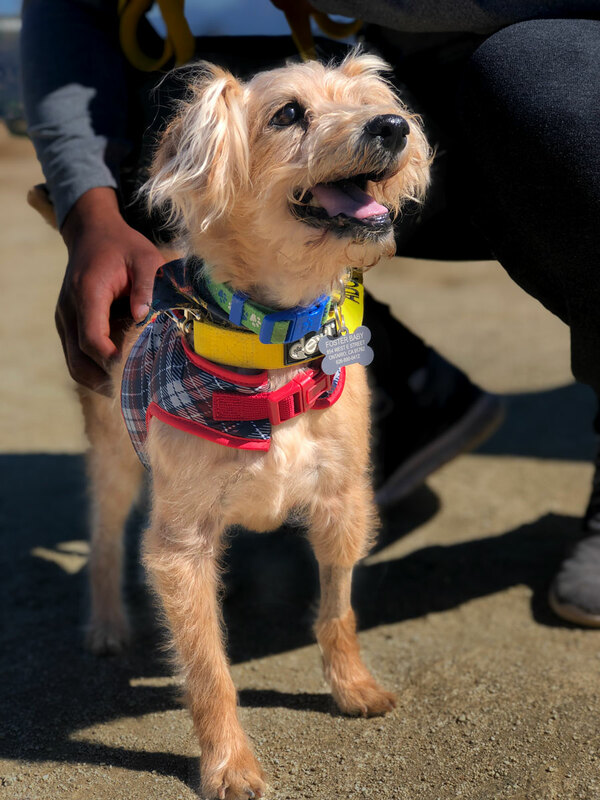 We Love Sweet Senior Kelvin! …he’s been living the good life, but is now very sick. On Friday night, March 15th, Kelvin started acting strange. He wouldn’t lie down, or eat. He would just stand. By morning he was drooling as well, and hunched up. 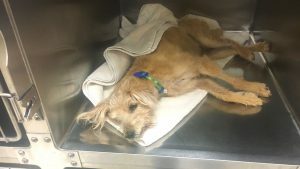 We took him to the vet and tests showed no blockages, but a very high white blood cell count, which indicates an infection, and elevated liver values, indicating possible liver failure. 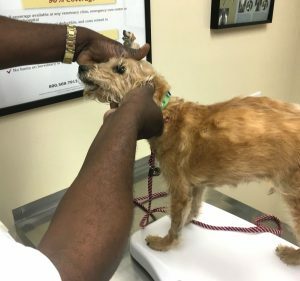 The vet put him on a number of medications, including vitamins to help his liver and antibiotics and monitored him for the day. He is now back at home, but not doing much better unfortunately. The hope is that he has a treatable infection, and the liver issues are a result of that and will go back to normal… but the bad possibility is that he has liver failure, which is fatal. He was in the animal shelter and set to be put-to-sleep. 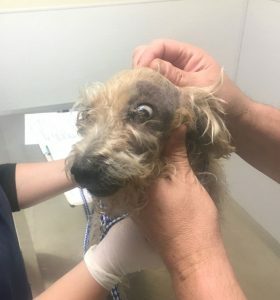 Almost all his fur had fallen out, he could barely stand, and the skin infection he had smelled terrible. Janie at the rescue Hand-in-Paw contacted us to see if we could work with her to get him out of the shelter and treated. Our vet quickly diagnosed him with a hormone imbalance, and eventually with hypo-thyroidism specifically. This is a very easy to treat condition, simply requiring a daily pill. Over the next months he got much better! We cleaned up his skin. His hair grew back. He started loving life! He got active. He went on our Runyon Canyon Rescue Dog Hikes! He was great! His teeth were still bad though, and they got worse. He wouldn’t let anyone touch his mouth, and he stopped eating anything except soft food. So, we got him dental surgery, and though he had to lose all his teeth, he got even better. For the first time ever he played with chew toys, as he was not out of chronic dental pain!!! (See video below). He even “foster-failed” with his foster Janett, who decided she would keep him, Kelvin was finally living the life he had always deserved. We are hoping with his round of medications that Kelvin will show improvement in the next few days. Janett will be watching him carefully. We have set up this fund both for Kelvin and to help finance the care of other animals. 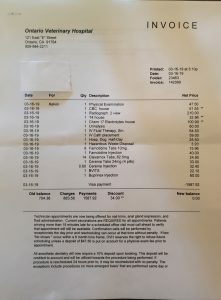 Kelvin’s bill is already at $900.00 and was unexpected. 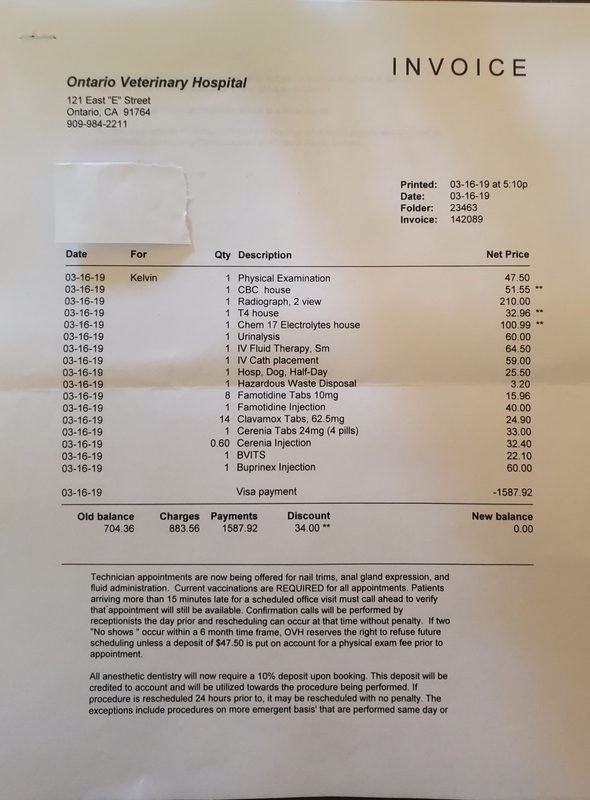 Of course Free Animal Doctor is paying it, but this also means we have less funds to help other animals, and there are going to be more charges. Would like to both help Kelvin and help us keep caring for other animals? Then please, consider a donation to Kelvin’s fund today! You’re helping Kelvin AND us too! Thank you 🙂 and big WOOOOFS! Please keep me posted on Kelvin! I love doggies & I hate to see any in pain. We love you, pls get well!!! These poor babes, my heart goes out to all of them.They do nothing to deserve these types of horrific acts of abuse. I saw your video for Kelvin on Instagram and it breaks my heart to see him struggling. I hope you reach his funding goal in time and he gets better quickly. Your organisation is incredible thank you for your compassion for animals, it makes the world a better place. Please keep me poste…d on Kelvin! Sadly he passed away recently, basically due to complications from old-age. Thank you to everyone who helped give him a happy, fun and active life running around the Canyon! We will also miss you Kelvin, big WOOOFS! 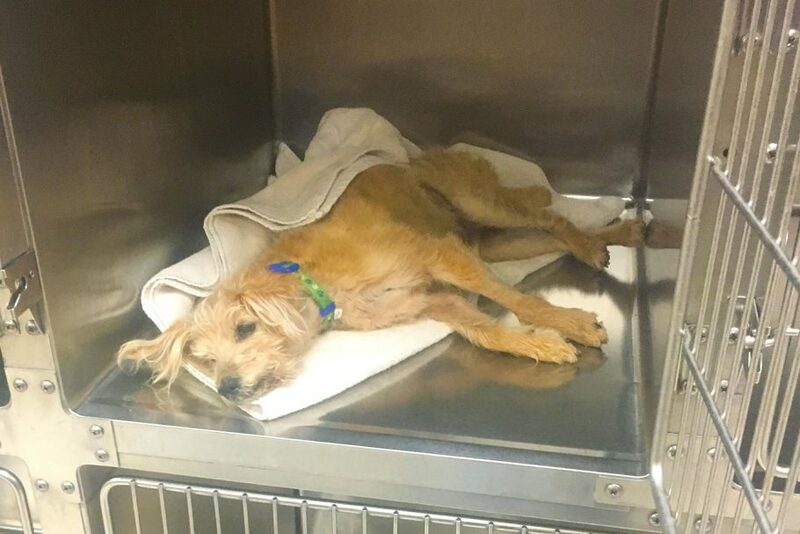 Please consider a small donation to help cover the costs of Kelvin's medical care, so we can help more dogs like him!